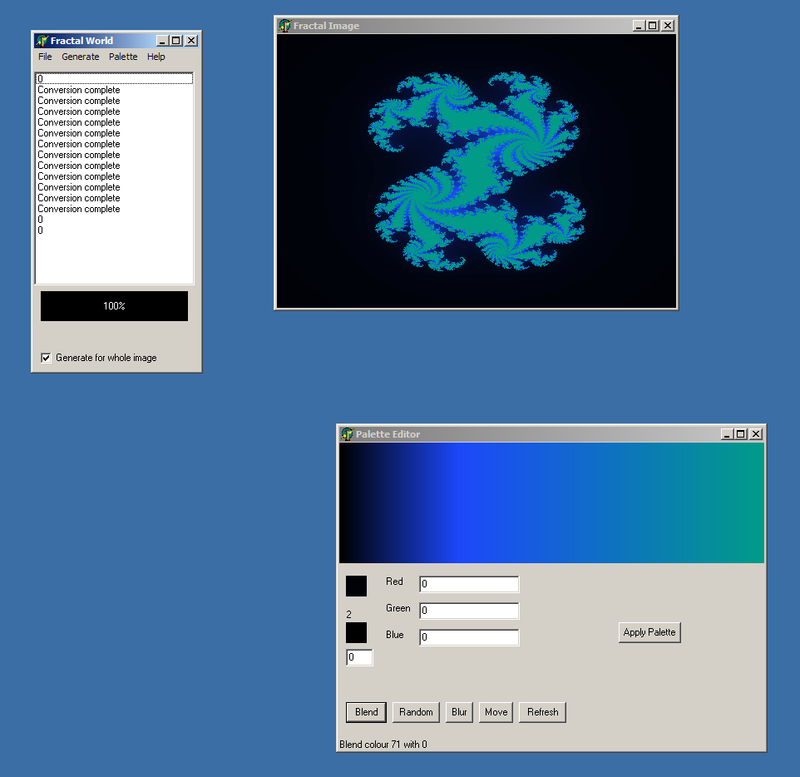 A fractal generator, very simplistic and not very configurable. The current version can be found here. The current code can be found at svn.bitstring.org. There is also an older version with no source code available here. See fractal world in action. 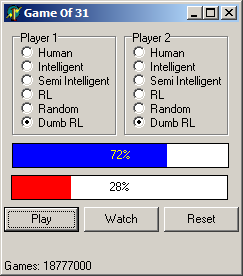 A simple reinforcement learner which plays the game of 31. The current version can be found here, source code is included. See game of 31 in action. 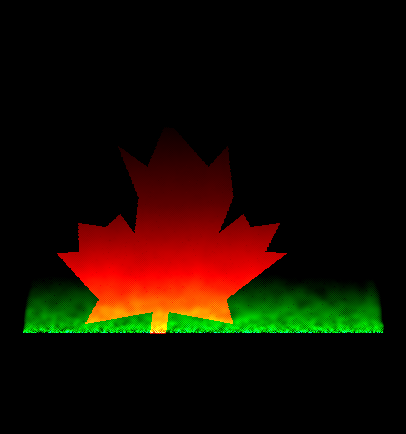 A fire with a translucent maple leaf waving in the foreground. 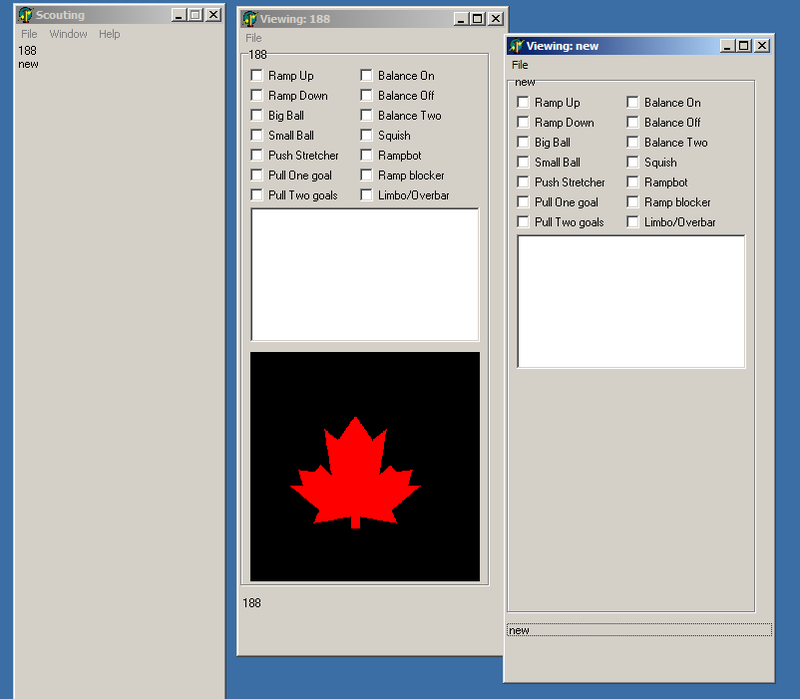 The current version can be found here, the executable requires the presence of the leaf.bmp bitmap file in the working directory. The code can be found at svn.bitstring.org. 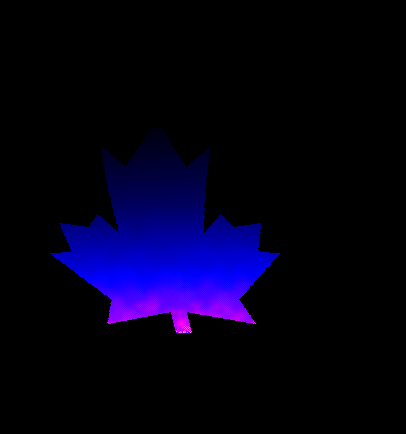 See the leaf in normal colour and an alternate scheme. 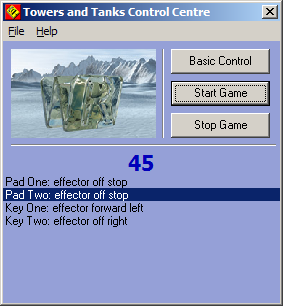 A control program for a lego robotics game. The current version can be found here, it is of very limited use without four lego robots and joysticks. There is source code available via subversion at svn.bitstring.org. Unfortunately there are no pictures of the playing field or the robots. However, you can see what the program looks like here. Scouting and strategy programs written for the 2000-2001 FIRST robotics competition. The scouting program can be found here and requires the edit.dat file to be in the current working directory. The strategy program is available here. The code for both programs is available at svn.bitstring.org [scouting], [strategy]. See the strategy program and the scouting program.